Commencing at 4.30pm, the finest of these silver fish will be accompanied by tastes of the week to come: sausages from Westaways, internationally renowned cheese straws from Luders’ Patisserie and award winning elderflower cordial from Shute Fruit and Produce. Followed by a live cookery demonstration featuring ice cream from local seaside ice cream emporium, The Cherry on Top, the Taste of the Teign week is expected to draw throngs of visitors to Teignmouth. Monday’s event heralds the start of a host of foodie events featuring produce that’s been picked and reared in the surrounding fields, caught in local waters or harvested from the hedges overlooking the breathtakingly beautiful Teign Estuary. Over the course of the festival dozens of events will take place; each one using locally sourced produce as the centrepiece for culinary creativity ranging from ‘Kitchen Cart’ demos in Teignmouth to tastings from the steepest vineyard in England at the Old Walls Vineyard in Bishopsteignton. This year the festival is set to be bigger and better than ever with even more cookery demonstrations. Wednesday 21 September is the centrepiece of the week when the Chef’s Challenge 2016 takes place at The Pavilions. The event features host and owner of the Devon Scone Company, Richard Hunt, who will set chef Dez Turland from the Brend Hotel Group against celebrity chef Peter Gorton in this interactive show. From this year Taste of the Teign now incorporates the Teignmouth Harbour Festival featuring the blessing of the boats on Saturday 24th, held on the Back Beach. Another first is Teignmouth’s Street Food Festival taking place in the Triangle on Sunday 25th. Lori Reich, who helped found the event and who co-owns award winning Shute Fruit and Produce with her husband, said: “This year’s Taste of the Teign food and drink festival is without doubt the best yet. Visitors can look forward to an incredible array of local foods and delicious delights. All round the estuary you’ll discover fabulous food served by local pubs, cafes and restaurants showcasing the finest of produce from the Teign Estuary. 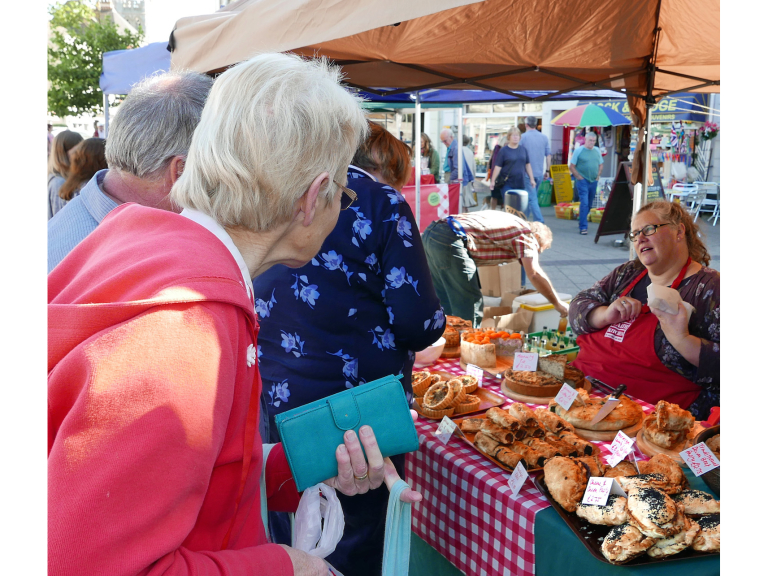 There’ll be foodie films at the Pavilions in Teignmouth, we’ll be holding the regular monthly Farmers’ Market in the Triangle and there’ll even be a guided walk along the Templar Way from Newton Abbot to Teignmouth.